Penelope is a powerhouse in supporting start-ups and rapidly moving them to fast growth and profitability. As a marketing innovator, she is able to reboot stalled enterprises or mature businesses. Acting as a marketing Swiss Army knife, she has worked on both the client and the agency side to provide wide-ranging marketing support across disciplines, from market strategy and powerful positioning, to go-to-market planning, creative, advertising, PR and digital strategies. She is a king maker, who creates thought leaders and positions business for success via speechwriting, content marketing, artful PR and book development. She has partnered with business and cultural leaders as a contributor, author and co-author of 10 books. As co-founder & CMO at BorrowersFirst, Penelope established this FinTech online lending platform with an on-your-side consumer marketing strategy and brand that achieved profitability within 9 months of launch; driving down customer acquisition costs with innovative distribution partnerships. She was a full-time Marketing Consultant and Advisor to PayPal executives to establish market positioning, message platform, and enterprise sales strategies to penetrate the Internet Retailer 100. 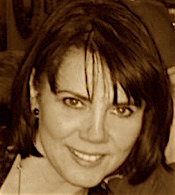 As an Advertising & PR executive and consultant, Penelope has provided a full range of marketing strategy, marketing plan development and implementation, brand building, superior sales and marketing support for clients including Peppers & Rogers’ Accelerating 1-1, Alliance of Cambridge Advisors, Arbinet the Exchange, Argus Investors, British Telecom, Chase Bank, CommerceHub, Creative Compensation Strategies, Equitable Life Assurance, Exec-U-Net, First Lease Advisors, ICN, Impact Planning Group, JRI, Lombard Medical Technologies, Mosley Corporation, Oak Investment Partners, Oxford Biosciences, Pitney Bowes Corp., Sumitomo Mitsui Banking Corp., Wright Investor Services and others. Sales Diagnostics’ professionals solve the experience and know-how gap.